Protec Win in Three Tournaments. 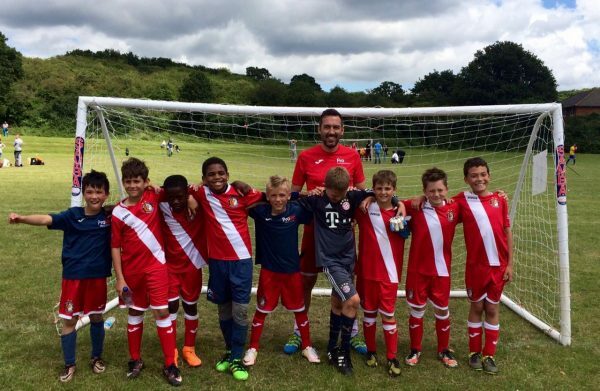 Protec u8, u10, and u11s all won in major tournaments recently , the under eight squad played through the group stages not conceding a single goal to reach the final and after a hard fought game came out winners. Our three under 10 squads all won there respective groups in the cheshunt tournament and finished top. Our u11 squad won the final at the hemel tournament with some very tough teams they managed to beat a very strong Hemel side one nil in the semi final to reach the final winning 3-2! well done to all of the squads and managers and we look forward to a bright new season in 2018 season. We are holding trials for age groups 6-13 if you are talented then we want to hear from you!